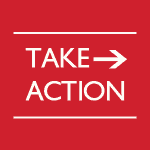 Please click on the Take Action button to contact your State Representative & State Senator. Tell them that true school safety is ending gun-free zones, not passing dangerous “red flag” type gun confiscation and violating constitutional freedoms. Your rights are on the line here in Texas. 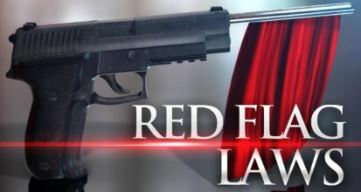 “Red flag” type gun confiscation orders may be on the fast track to passing right here in the Lone Star State. Governor Abbott announced his “emergency” agenda items Tuesday and included school safety with an emphasis on “mental health.” While no bills have been specified yet, this could easily include items such as “red flag” type legislation that we have been fighting all across the country that allows for gun confiscation simply because a judge decides that you might misuse them in the future. Even worse, these “emergency” items are not subject to normal waiting periods — they can be fast-tracked through the legislature immediately. I absolutely want increased school safety. But I believe the best path to safer schools is to get rid of the prohibitions on law-abiding citizens carrying guns in order to protect innocent life. I know that evil exists in this world, and I want potential victims to have ready access to tools that could help stop evil people from carrying out violent plans. Some of the bills that have already been filed pose a dangerous threat to gun rights — especially for veterans and for those who may have relatives who don’t approve of their firearm ownership. We must keep these bills from being passed through this fast-track process. Please don’t wait! Reach out to your legislators TODAY. Ask them to OPPOSE any legislation that would violate human rights under the guise of mental health — including “red flag” type gun legislation. Ask them to make schools safer by extending “campus carry” to K-12 schools for law-abiding Texans. I’ll keep you updated as bills move through the process. If dangerous legislation comes up for committee hearings, I will need a large group of you to join me in Austin. That’s our key to stopping bad bills — so please be ready for that if at all possible! P.S. Please take action and forward this alert to your family members and friends. To renew your GOA membership or to join for the first time, please click here. Will Oklahoma be the 16th Constitutional Carry State?